Traveling to Morocco for a Morocco Holiday, Customized Tour or a Private Travel experience through a Morocco Travel Agency will ensure that you discover the best of Morocco. With a population of nearly 34 million of Arabs, Berbers and Foreigners, Morocco offers some of the most exciting and cultural Morocco Travel opportunities. Morocco offers a taste of exotica for travelers who are interested in discovering varied landscapes from the Dades Valley to the High Atlas Toukbal Mountains and from the Sahara Desert to the Imperial Cities of Marrakech, Fes, Casablanca and Meknes. Travel Exploration is a Morocco Travel Agency that specializes in Travel in Morocco, Morocco Private Tours, Camel Trekking Tours, Holidays in Morocco, Morocco Imperials Cities, and Private tours in Morocco for families couples, singles and small groups. Travel Exploration designs tailor-made tours to Morocco for the independent traveler, groups and families. 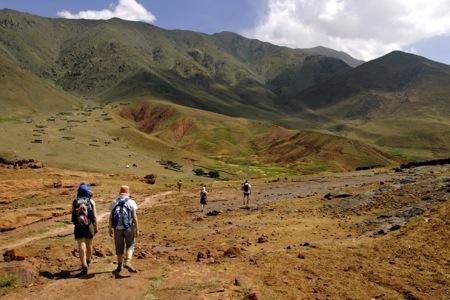 Travel Exploration provides unique itineraries that offer an unparalleled diversity of travel and terrain throughout Morocco. From Morocco’s Imperial Cities, Seaside Resorts, the Sahara Desert and Berber villages, Travel Exploration guarantees you will experience the best of Moroccan travel when booking a tour to Morocco with us. 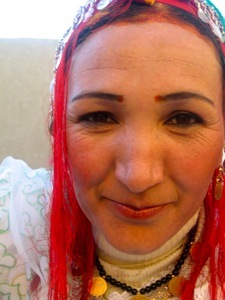 – A professional understanding of your expectations and requirements when traveling to Morocco. – Reservations made through a licensed American and Moroccan Travel agency and transport company. Morocco boasts natural beauty with its fun-filled, colorful cities, ancient Kasbahs, Roman ruins,breathtaking waterfalls, camel treks, overnight stays in the Sahara by an oasis and mountainous regions where one can hike or ski. By booking a tour with a Morocco Travel Agency such as Travel Exploration you are guaranteed a seamless journey from the day you arrive in Morocco until your departure. 1. Morocco is just 7 ½ hours flying time from east coast of USA. When planning your air travel, allow a Morocco Travel Agency to assist you in timing your arrival and departure cities and times to ensure quality time on the ground. 2. Travel Exploration New York and Morocco offers travelers to Morocco the chance to truly experience the spirit and soul of Morocco. As a Morocco Travel Agency we provide you with a wide range of activities that suit your personal tastes, desires, and preferences. 3. Travel Exploration Morocco gives travelers a chance to experience Morocco fully by touring the cities and interacting with the local people through visiting a Berber Village and having lunch with a traditional family, exploring the various regions of Berber villages throughout Morocco such as the Ourika Valley, Imlil, Ait Ouzzine, Ait Ourir and Ait Hamou. When traveling to Morocco through a Morocco Travel Agency that specializes in Morocco Travel you will have a friendly and authentic holiday experience at your pace, which enables you to co-create your own Morocco Travel journey with the Morocco Agency. For many travelers who do not like packaged tours with strangers, Travel Exploration offers a range of personalized traveling options. The professionals of Travel Exploration will make all arrangements for sightseeing, accommodations, meals, private transport in luxury Land cruisers, Mercedes and H-1, local guides and other logistics. Once you arrive in Morocco, you can rest assured of a relaxing and fascinating holiday experience by a Morocco Travel Agency. With Travel Exploration Morocco you may choose (or combine) hiking, swimming or windsurfing on both Atlantic and Mediterranean beaches, historic/archaeological exploration, bargaining at bazaars and souks, hookah-fueled nights of singing and dancing, camel treks or a visit to a Berber village where you can enjoy a meal with a family and explore old traditions in a peaceful atmosphere. The founders of the Morocco Travel Agency, Travel Exploration Morocco have a nine-year track record of reliability and success offering a contrast to the cliché of structured, packaged travel. Pack your bags, share with us your desires and we will do the rest! You are currently browsing the archives for the Customized Travel Tours category.